Recently, I was awarded the 2019 OnCon Icon Marketing Trailblazer & Marketing Contributor awards. Post-event, I was interviewed by the OnCon team and we discussed a number of topics such as what it meant to win the awards, what put the nominations over the top and recommendations for 2020. Below is a repost of the interview questions. What does it mean to you to be voted on as the winner by such an esteemed jury of your peers? It was an honor just to be nominated. To know that such an esteemed jury of my peers gravitated towards me as a candidate is incredibly humbling. I have an immense amount of respect for the members of the jury and the other nominees across categories. I am grateful that the jury felt my contributions to the industry were worthy of recognition. Thanks again to the jury! You had some very tough competition in each of the categories. How does it feel to be recognized over such an amazing group of your peers for the two wins? With a field of 9 incredibly talented nominees, the trailblazer category was highly competitive! Each nominee represented great credentials and accomplishments and each individual brought a unique perspective and examples for how they are driving innovation and creativity. To hear my name called was surprising, exhilarating, and satisfying at the same time. What do you feel put your nomination over the top? 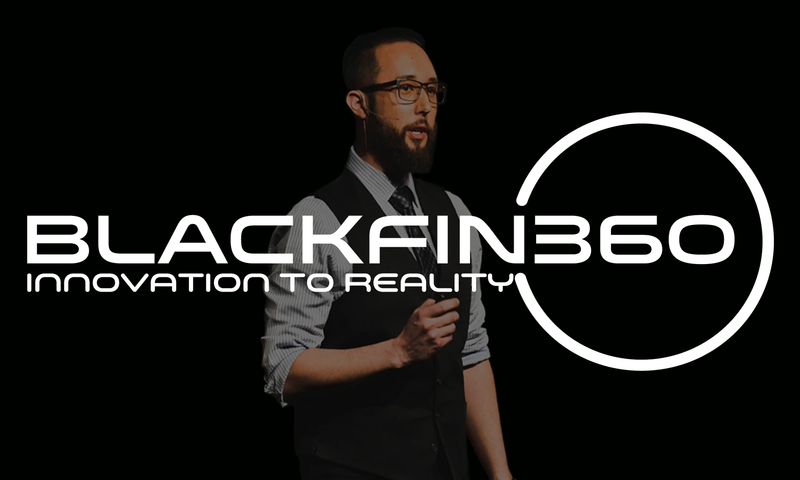 I would assume that my passion for creating content and speaking regularly as a marketing technology futurist for the industry over the past 11 years at Blackfin360.com combined with a near obsession for the intersection of consumer behavior and emerging technology were factors in the marketing contributor award. For marketing trailblazer, having a natural predisposition towards aligning trends, use cases and emerging technology into solutions that drive clients business were key contributors. From publishing yearly trends, covering key events, mapping trends for clients, developing products and solutions, speaking regularly at industry events and applying the latest technology in new and compelling ways was hopefully impactful for the jury. Would you recommend your peers to apply for nomination, and why? I would highly recommend that anyone in the marketing space recommend their peers for an OnCon Icon honor. Many awards today are tied to organizations and marketing campaigns. The OnCon Icon Awards provides the opportunity to recognize organizations and individuals for their contributions to the industry and have their peers recognize individual contributions in addition to company recognition. It’s a great mix and I was incredibly excited for both my organization and for the opportunity to pick up individual awards as well. Apply for, or be reminded to apply for the 2020 Awards here. How would you describe the awards evening? The event was held at the Gaylord Palms in Orlando, Florida. The venue in and of itself was impressive and a great location for an awards event. From the pre-event mixer to the red carpet with my wife, the energy continued to build as we prepared to settle in for the awards presentations. I was immediately impressed by the brands represented and how senior the individuals were. This added to the friendly competitive atmosphere as there was a mutual respect but also a strong desire to win. When it came time for the awards the pace of the evening was well kept and when my name was called it was a quick jaunt to the stage with a live band playing intro music. Having an opportunity to thank my wife, the jury, the other nominees and my team made the win more meaningful. I appreciated the opportunity to thank those who have made such an impact on my career over the years and are incredibly supportive. It’s been a few days since the event, any final thoughts? I am very grateful to have been a part of the 2019 Oncon Icon awards and would highly recommend nominating your peers for potential recognition in 2020. I am also very thankful for the support of my wife of 20 years, my agency creative tech & innovation teams (Ian, Steve, Wes, Jeremy), agency leadership Richard McDonald & Sandy Kolkey and the rest of the organization. Thanks again to the jury and to Sean Tomarelli for putting on such a great and memorable show. See you in 2020!